I've got Sadie on the weekends. It's a good thing my daughter's Christmas pageant falls on a Saturday, or I'd be out in the damn cold. Weekend visitations only. Courtesy of the Belleville Divorce Court. Sadie looks fantastic on the stage, all covered in ornaments. Her face is painted up green, but I can still see how happy she is. I give a little whistle just to let her know that I'm here and loving every minute of it. "Dad," she said to me last weekend, "we need to make me a costume for the Christmas pageant." "Okay, Sadie-love," I said, "You tell your ol' Pop what we gotta do." We had to make her into a Christmas tree. Righty'o. Easily done. I sawed down some of the lower branches of a pine in the backyard. Then I took her to the store and we got tinsel and glue. "You'll be a tree in no time, Sadie-love," I said. Midway through, we could both tell it wasn't gonna work. "I don't look at all like a tree," she said. So, she didn't. And when I returned Sadie on Sunday night, I knew her mother would get her costume fixed up right. Caroline handles all of the necessary, important things. The Monday-through-Friday things. I'm in charge of playing in the park, and holding our daughter on my shoulders. When we swim, I'm the shark. When we ride, I'm the horse. I'm just a clown and I know it, but I'm Sadie's clown. 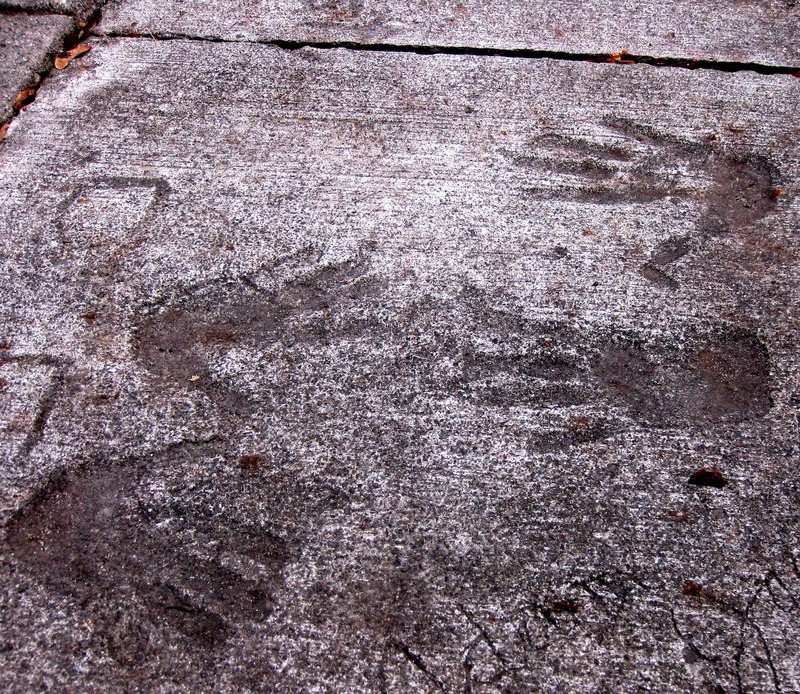 When I saw a section of cement drying near my new bachelor's apartment, I made us put our hands in it together, Sadie's and mine. 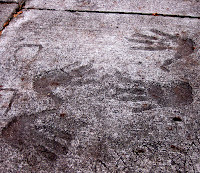 And it helps me sometimes, if it's a weekday, to walk by there and see my big hands beside her little ones.